NEW ORLEANS— A family alleges that furniture they purchased secondhand from a New Orleans hotel resulted in an infestation of bedbugs in their home and business. Joe and Selena Costa and on behalf of their child filed suit against Flolou Inc., Canal Street Furniture, Starwood Hotels and Resorts Worldwide Inc. and their insurers in the Orleans Parish Civil District Court of July 16. The plaintiffs claim that they purchased a mattress, two box springs, three desks, and a headboard from Flolou Inc. and Canal Street Furniture, which distributes, sells or re-sells furniture from the Sheraton New Orleans Hotel. One week after purchase, two of the plaintiffs noticed symptoms consistent with bedbug infestation including itching, burning and rash-like skin lesions. They received treatment and were diagnosed with bedbug bites by a physician. The Costas discarded the furniture, but as they could not afford the cost of eradication, the family was forced to relocate to their place of business. They claim their business then became infested, causing a loss in sales. The defendants are accused of negligence for distributing, selling, or re-selling furniture that was defective at the time of purchase, failing to inspect the items, disclose defects and adequately warn the plaintiffs at the time of purchase of the inherently dangerous condition of the products as they would foreseeably by used. Furthermore, within the Louisiana Products Liability Act, the defendants deviated from manufacturer or seller specifications or standards and did no conform to warranties. An undisclosed amount is sought for loss of enjoyment of their home; emotional distress, especially in witnessing the distress of the child, loss of consortium, love, affection, support, companionship; anguish; inconvenience of injuries; business interruption and loss of income past, present, and future. 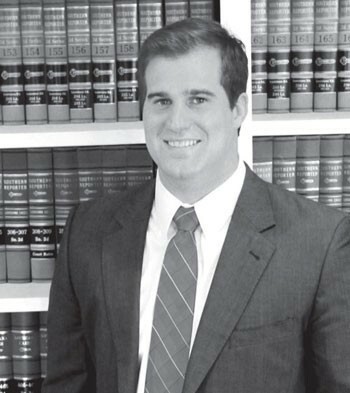 The plaintiff is represented by Vincent P. Scallan of Vincent P. Scallan Law LLC. The case has been assigned to Division C. Judge Sidney H. Cates IV.